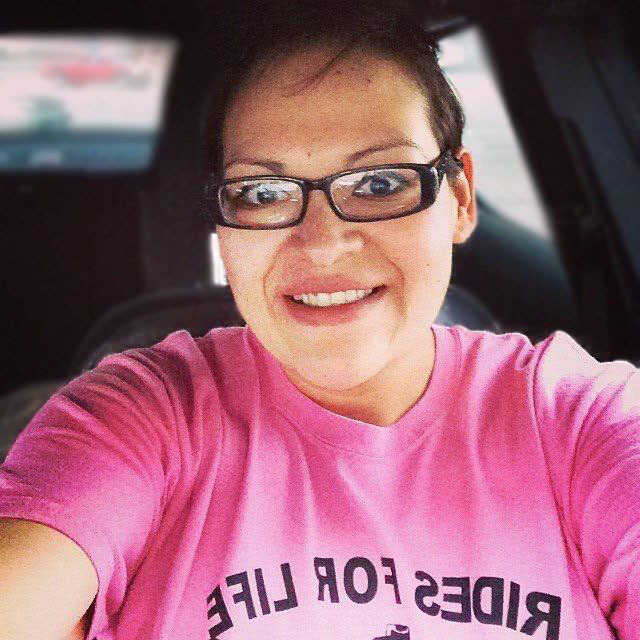 Robin “Bobbie” Irene Perry Martell or Chanku Luta Omani Wi (Walks the Red Road Woman) passed away on March 12, 2019 at Billings Clinic in Billings, Montana. Robin was born on March 15, 1983 to Adrian Perry and Jackie (Christian) Perry in Poplar Montana. Robin attended Brockton High School and graduated in the graduating class of 2001. After graduation, she went on to study Elementary Education at Montana State University from 2001 to 2005. Upon graduating from MSU, Robin became a first grade teacher, teaching until 2011. During this time, Robin met Eric Martell and they married on March 4, 2010. In 2011, Robin became the Wrap around facilitator at HPDP and continued work here until 2013. Then on October 6, 2017, she became the Circles of Care Coordinator at SBRRC where she worked until her passing. Robin is survived by her parents, Adrian and Jackie Perry; her sisters, Freda (Joey) Christian, Joni (Kidd) Perry, Adrianne (Duta) Perry, Lynette Crasco, Dahnis Duquette, Jackie (Roger) Christian, and Carrie (Hunter) Christian; her brothers, James Christian, Cal Christian, Richard Terbasket, and Ben Wind; her husband, Eric Martell; her children, Pudge and Spanky, Darnell Martell, and Christian Martell; her aunts Claire (Art) Meyers, Leta Atkinson and family, Irene Wilkins, Vernita Buckles, Madeline Moran, Peggy Ricker, Barbara Fast Horse, Donna Ricker, Laurie Japp, Cindy Christian, Calinda Duquette, Trivian Grainger, Julie Christian, Carrie (Buddy) Adams, Roxanne (Robert) Smith, Allie Burshia, Trivian Nault, Marva Youngbear, Lynette Boyd, Carrol Bemer, and Janice White Eagle; her uncles, Tommy Christian, Jiggs Ricker, Clyde (Clarice) Perry, and Howard (Billie Gayle) Bemer; her nieces, LaVael, Lacy, Avery, Liessa, Patience and Avalon; and her nephews. Kobe, Yamni, AJ, James, Ceaser, and Ace. Robin in preceded in death by her maternal grandparents, Clarence Christian and Helen LeCaine; her paternal grandparents, Frank and Lavina Perry; her sister, Andrea Perry; her niece, Laila Christian; her aunts, Annette Boxer and Shirley Perry; and her uncles Victor Perry, Bonzie Christian, Lucky Christian, Therman White Eagle, Kenny White Eagle, and Kermit Perry. A wake will be held at 7:00 p.m. on Tuesday, March 19, 2019 at the James Black Dog Center in Fort Kipp, Montana. The funeral will be held at 10:00 a.m. on Wednesday, March 20, 2019 at the James Black Dog Center in Fort Kipp, Montana. Interment will follow at the Fort Kipp Cemetery. Clayton Stevenson Memorial Chapel has been entrusted with the arrangements and condolences for the family may be left using the form below. Sending love and prayers to my Cousin Adrian, Sister in law Jackie, my nieces Freda and Jonni, and my grandsons Pudge & Spanky. May the Creator hold you close during this time of tragic loss. She was a beautiful and special person inside and out; and, what a sense of humor. She will be loved, remembered and missed by all who knew her intimately, her family and those she considered family, and her dear friends. Our loss is heaven’s gain. When we interacted in person or on FB, I always told her “I love you”, and her response was always “I love you to Auntie”. I hope she knew those weren’t just words. I love you Bobs, doksha! Auntie Triv & family. Rest in Peace, Bobbie. You are now with your loved ones in heaven. They must have been so happy to see you. Take comfort, Adrian and Jackie, for you know she is with our creator. Grief is such a hard thing to go through, but you have loved ones here that need you both. I am so shocked and sorry to hear of this great loss. My prayers are with each of you that are hurting, especially her sons. God bless you all with peace and comfort. Mitakuyepi – My Relative, have a Good Journey home, Our Ancestors Await for you, with Open Arms and Open Hearts, you will be Missed Dearly here on Mother Earth, but I know You and Our Ancestors will always be around us, protecting us. Mitakuyepi – My Relative, Have Good Journey Home, Our Ancestors Await for You, with Open Arms and Open Hearts, I Know You will be Greatly Missed here on Maka Ina – Mother Earth, But I know You and are Ancestors will always be around Us, Protecting Us. Bobbi was a member of the Direct Descendants of Wi Sapa Itanca – Chief Black Moon ( aka Zuya Tehila – Loves War ) & Tanka Win – Big Woman ( aka Red Cloud Woman, aka Rattling Stone Woman, aka One Horse Woman ) Family Group. So very sorry reading about the death of Bobbie. It’s so hard losing a loved one so young and I want to share a scripture of comfort with your family. It is found at Isaiah 41:10, 13 where it says, “Do not be afraid, for I am with you. Do not be anxious, for I am your God. I will fortify you, yes, I will help you, I will really hold on to you with my right hand of righteousness. Verse 13 continues, “For I, Jehovah your God, am grasping your right hand, The One saying to you, ‘Do not be afraid. I will help you.” We are assured of God’s help during such difficult times as this.